3D printing software and services provider DigiFabster, established in 2015, uses its software-as-a-service (SaaS) platform to help companies automate and streamline certain business processes in a single step. Recently, Belgium-based 3D printing service bureau ZiggZagg used DigiFabster’s platform to greatly improve its productivity and growth – the company is currently experiencing a 25% month-over-month growth rate. ZiggZagg got its start back in 2011, and currently operates a total of 13 3D printers with different technologies, such as SLS, SLA, FDM, and HP MultiJet Fusion. In addition, it also provides manufacturing technologies such as CNC milling, laser cutting, and vacuum forming. Most 3D printing service bureaus invest plenty of time in teaching their customers how to submit jobs and about the ins and outs of pricing said jobs. While it’s easy to absorb these costs when it comes to contract work and large 3D print jobs, smaller customers that don’t use the business as often can often cost more than they’re worth, as they need the same attention but offer less revenue. However, a plus is that lower volume jobs are helping 3D printing service bureaus, like ZiggZagg, fill unused areas in their 3D printers’ build space, which in turn can improve productivity. By completely filling the build area, companies can lower the cost of each part of a print run, so fixed costs can be spread over more volume. Using DigiFabster’s SaaS platform offered ZiggZagg the opportunity to automate its customer relationship agreements, in addition to its order entry and quoting services. ZiggZagg has even set some new goals for itself, including adding new orders to help fill its print capacity. Right from the get-go, ZiggZagg was able to configure its site based on its existing capabilities. 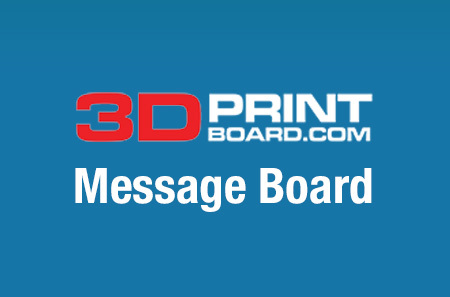 After providing company information, including its machines, materials, and finishing options and setting up an account, the service bureau installed and deployed DigiFabster’s iFrame-based widget on the website. ZiggZagg populated and configured the administrative area of DigiFabster’s software with its specifications and pricing. Then, the widget automated operations by allowing customers to instantly quote and place orders for 3D printing projects. After the software was fully configured, ZiggZagg began marketing its new online capabilities…and reaping the benefits. Thanks to DigiFabster’s technology, ZiggZagg produced more than 9,100 models for almost 650 customers last year – a client base growth of 20%. It was able to generate over €6,000 in new revenue just in January of 2018, with an average order size of €150. Now, for the first time, ZiggZagg is reporting over $50,000 in monthly revenue. Before using DigiFabster’s platform, ZiggZagg’s 3D print runs were averaging about 60% of total capacity – this has now increased by over 15%, which has lowered the total cost of each part by roughly 10%. DigiFabster’s platform also includes customer relationship management software, which helped ZiggZagg increase its workload with current customers and move from self to full-service support. The software will be upgraded as ZiggZagg’s business continues to grow to support additional capabilities, such as offline quoting. The two will also continue to work together to create specific features to help improve workflow. For instance, in order to give teams that package and ship out orders final confirmation, ZiggZagg requested that the packing slips DigiFabster created also include a thumbnail image of the specific models so that employees can confidently confirm that the orders match the models. The interesting thing here is that people are really looking at how to efficiently manufacture using 3D printing. Legacy airlines had high-cost structures but complete services. Could seeing the print volume much akin to the way that Easyjet looks at unused aeroplane seats lead to further cost reductions? Will we see high end service bureaus eclipsed by cheaper but more efficient ones? Or will we see last minute pricing and cheaper offers just like we see in aeroplane tickets? Discuss this story, and other 3D printing business topics, at 3DPrintBoard.com, or share your thoughts in the comments below.